August is in full swing and there are a number of great attractions and events to check out while visiting Niagara Falls. One of Niagara’s newest and most thrilling attractions is the WildPlay zipline to the Falls. This is a one of a kind experience that takes you on an exciting ride into the Niagara Gorge while descending from 670 metres high. 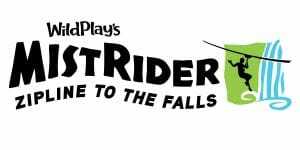 The ride will take you toward the base of the mighty Horseshoe Falls and give you unparalleled views of the Niagara Gorge. From August 3rd to September 4th, Journey Behind the Falls will be hosting a new Night Lights event as part of Niagara’s ongoing Canada’s 150th celebrations. Night Lights will give you exclusive nighttime access to the observation deck located at the base of the Horseshoe Falls during the Falls illumination and fireworks show. Night Light at Journey Behind the Falls is running Monday through Friday from 9:30pm to 10:30pm, so don’t miss out. 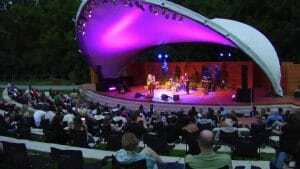 One of the most popular musical events this summer, along with the Coca Cola Concert Series in Queen Victoria Park, is the Jackson Triggs Concert Series which invites a number of amazing musicians to play outdoor shows at the winery’s open-air amphitheatre. The Sheepdogs will be playing a show at the amphitheatre on August 18th and you can check out Black & the Rodeo Kings on August 25th. The Niagara Parks has just recently renovated and reopened the Niagara Glen Nature Centre located along the beautiful Niagara Parkway and overlooking the Niagara River. You can stop by the Nature Centre to get all of the information you need about nearby trails and hikes, purchase bouldering permits, sign up for guided hiking tours, pick up refreshments and souvenirs, and explore the Niagara Glen Nature Exchange exhibit, which teaches about nature and the exciting features of the Niagara Glen. 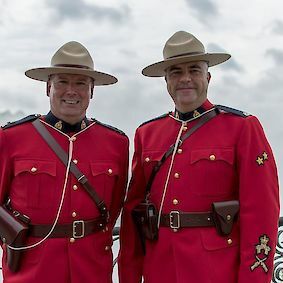 The Royal Canadian Mounted Police are an icon of Canada and from now until September 1st you can visit the Table Rock Welcome Centre, located at the brink of the Horseshoe Falls, for a special RCMP Meet & Greet. Royal Canadian Mounted Police members will be at the Welcome Centre every Friday from 10am until 3pm.